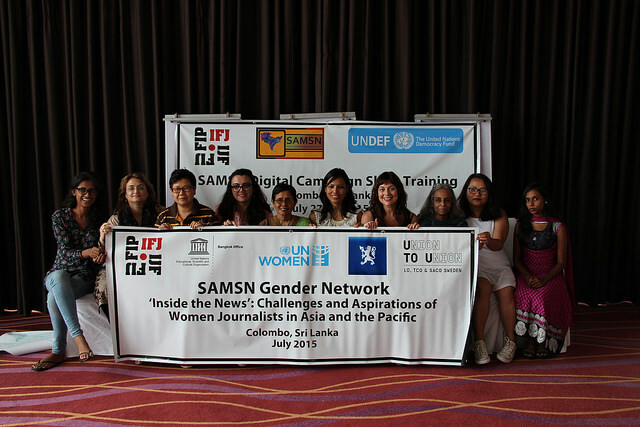 South Asia Solidarity Media Network’s (SAMSN) gender meeting was held in Colombo on 26th July 205. This was gathered under the scope of IFJ Asia-Pacific’s Norwegian Ministry of Foreign Affairs ‘South Asia Media Freedom and Solidarity Project’ and Union to Unions ‘Stronger Unions for Stronger Media’. Local partners of this meeting were South Asian Women in Media (SAWM) and Free MEdia Movement. 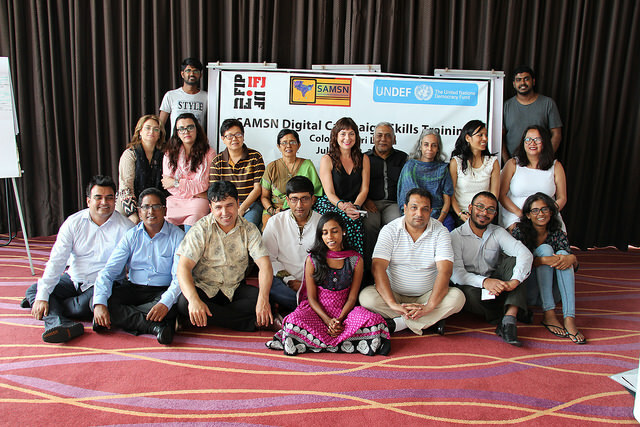 Free Media Movement (FMM) hosted the meeting as well as the two day SAMSN Digital Campaign Skills training and campaign development meeting , under the scope of IFJ Asia-Pacific’s UNDEF-supported program for 2014-2016, ‘South Asia Media Freedom for Democracy Project’. This activity is also co-funded by the Norwegian Ministry of Foreign Affairs and Union to Union. The training was held on 27 & 28Th July 2015. Selected members of IFJ affiliated media organisations from Afghanistan, Bhutan, Pakistan, India, Maldives, Nepal and Sri Lanka participated in this training. 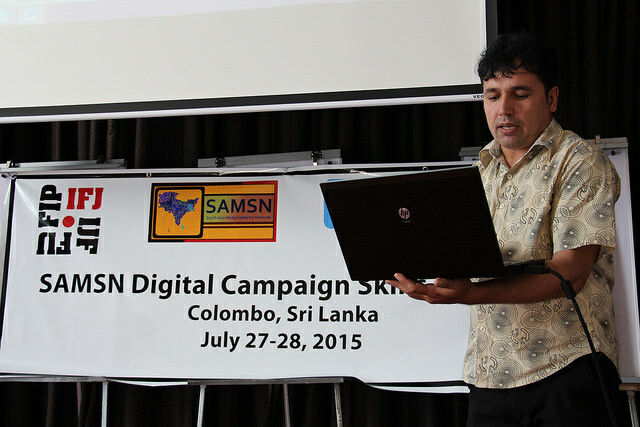 Training was designed to develop digital campaigns for south asia countries on media freedom. Prior to this training a local training has also been conducted on digital campaign skills for local participants from across Sri Lanka at Sri Lanka Press Institute. This was also coordinated by FMM. International Day Against Impunity – 10 Stories! Within the last 9 years, at least 43 journalists and media workers were either killed or disappeared. No investigation pursued – no perpetrator brought to justice. Free media movement started a campaign on 23rd November commemorating the International Day against Impunity to demand the government to bring perpetrators to justice and establish media freedom in the country. 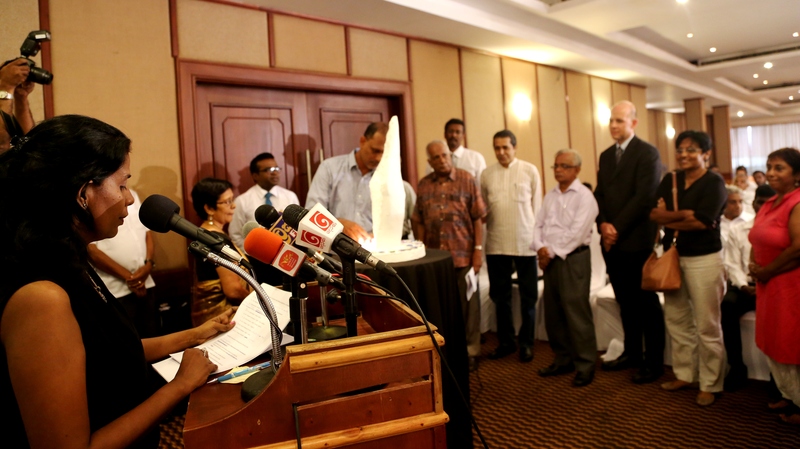 Sri Lanka is ranked 165th in World Press Freedom Index for the year 2014.Click here to see the video. A cartoonist, a political analyst and a journalist Prageeth Eknaligoda reportedly went missing on his way home after work on 24th January 2010, two days before the presidential polls in Sri Lanka. Immediately after the disappearance, his wife had made complaints at several Police stations and later, at the National Human Rights Commission. No perpetrator brought to justice yet. 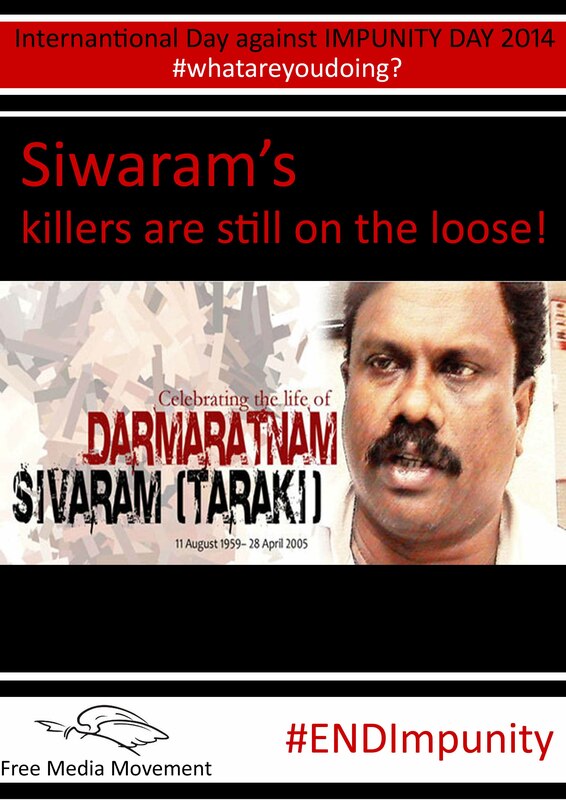 The Senior Editor of the “Tamil Net” website and a columnist to “Daily Mirror” and “Veerakesari” newspapers Dharmarathnam Sivaram a.k.a Taraki was abducted by armed men in Colombo on 28th April 2005 and his body was found next day near the Sri Lankan parliament. He was killed allegedly by para-military operatives working with the Sri Lankan Military Intelligence. 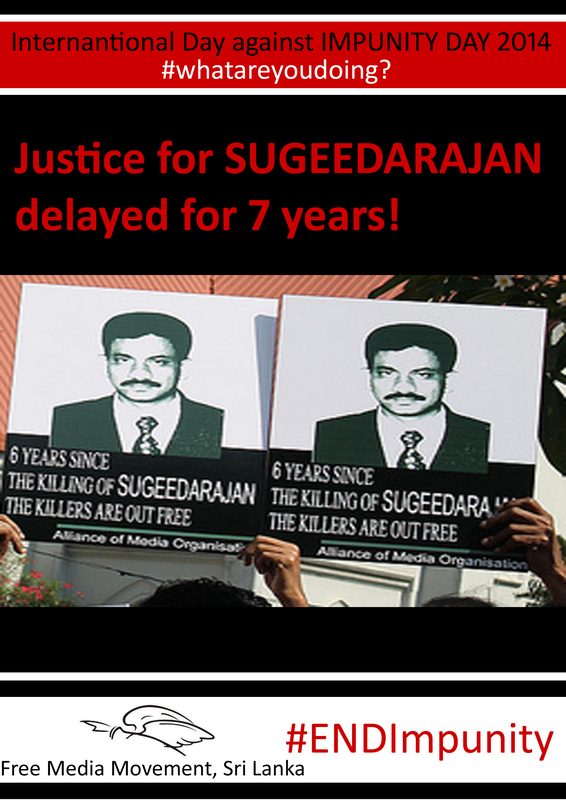 His murder trial is pending at Colombo High Court and perpetrators are still unpunished. 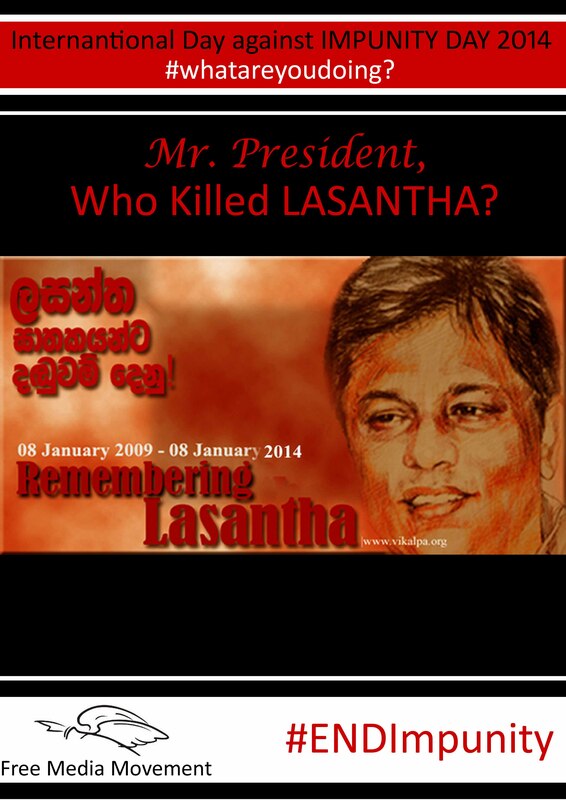 Journalist and the founding Chief Editor of the English weekly ‘The Sunday Leader’ Lasantha Wickramatunga was assassinated on 08th January 2009. He was repeatedly shot in broad daylight by eight assailants arrived on four motorcycles who blocked his path in a busy Colombo street. The assassination occurred in a high security zone in the capital, in close proximity to a military Airport and an Air force Base. His murder trial is still pending at the Mount Lavinia courts. In the early hours of 6 January 2009, MTV group’s main studio and transmission complex was attacked, ransacked and bombed. A heavily armed and masked gang of around 20 persons had stormed the premises, located in Pannipitiya just outside Colombo, held the night staff at gunpoint and destroyed the main control room. Investigations revealed that a Claymore mine was used for the attack. Critics and observers linked the attack to the controversial reporting that was adopted in relation to the capture of Kilinochchi by Government Forces. The culprits were not identified yet. 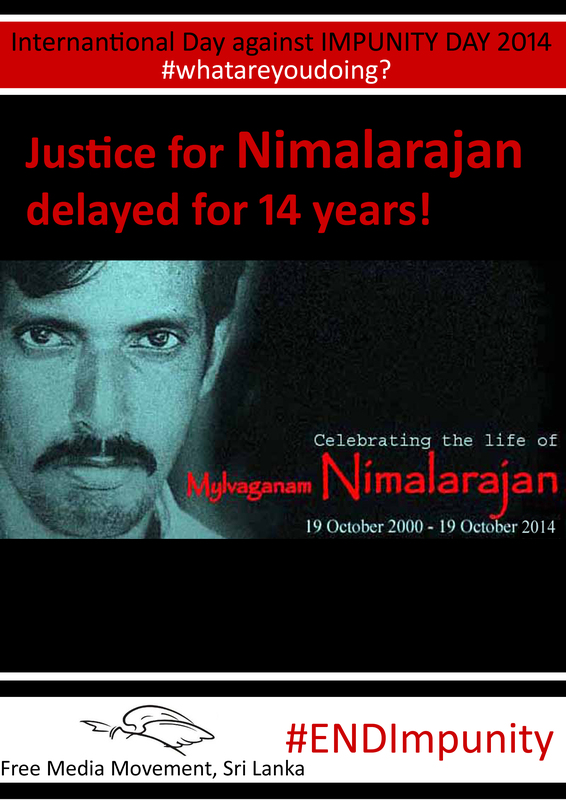 Jaffna based journalist Mylvaganam Nimalarajan was assassinated by gunmen in a high security zone on October 19, 2000. He reported for various news organizations, including the BBC’s Tamil- and Sinhala-language services, Tamil language newspaper Virakesari and Sinhala language newspaper Ravaya as a freelancer. 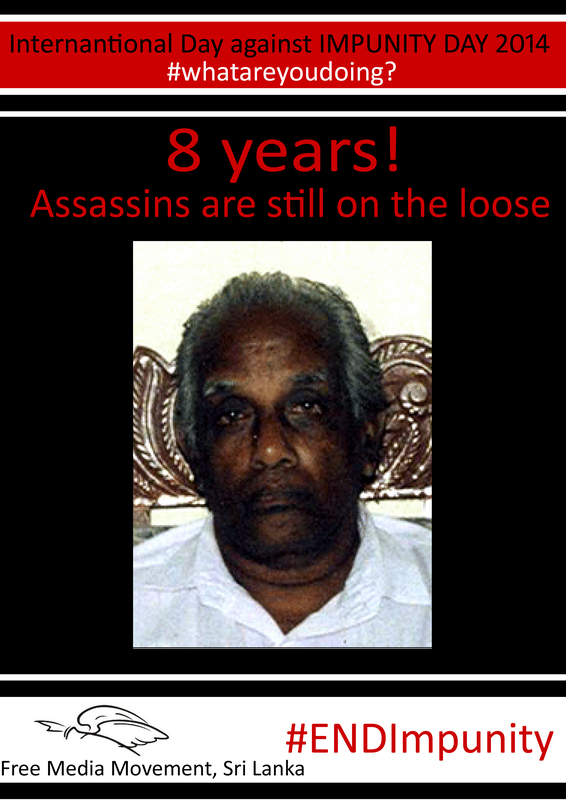 Most believe that he was murdered for his exposure of state repression in the Jaffna peninsula. He was one of the journalists who first wrote about Chemmani mass graves on the outskirts of Jaffna town where about 15 disappeared minority Tamil youth were killed and buried by the armed forces in the mid-1990s. His murder trial is pending at Jaffna magistrate’s court. Police failed to respond to repeated requests for information regarding the status of his murder investigation and no perpetrator brought to justice yet. “Udayan” was attacked numerous times in the recent history. In 1987, the Sri Lankan security forces attacked the Navalar Road in Jaffna, where the Uthayan offices were located, using artillery. Two Uthayan employees were injured and 40 others in the area were killed. In 1990, the Uthayan’s offices were hit by an air raid killing one employee and injuring five. on 29 August 1998 a Journalist named Velupillai Thavachelvam was attacked at his home in Sembianpattu, Vadamarachchi. In 1999 two grenades were thrown into the newspaper’s offices, exploding near the printing machines and injuring security guard S. Selvarajah. On 20 August 2005, two grenades were thrown into the advertising office of the Uthayan and Sudar Oli in Wellawatte. Suresh Kumar (B. G. Sahayathasan) and Ranjith Kumar, two employees of the newspaper, were killed on 2 May 2006 when armed men burst into the newspaper’s offices and opened fire indiscriminately. A delivery driver and an agent named Sathasivam Baskaran was shot dead at the wheel of his delivery truck on 15 August 2006 at Puttur junction near Achchuveli, an area controlled by the Sri Lankan military. On 18 August 2006, a warehouse in Kopay was burnt down by armed men as a curfew was in place. 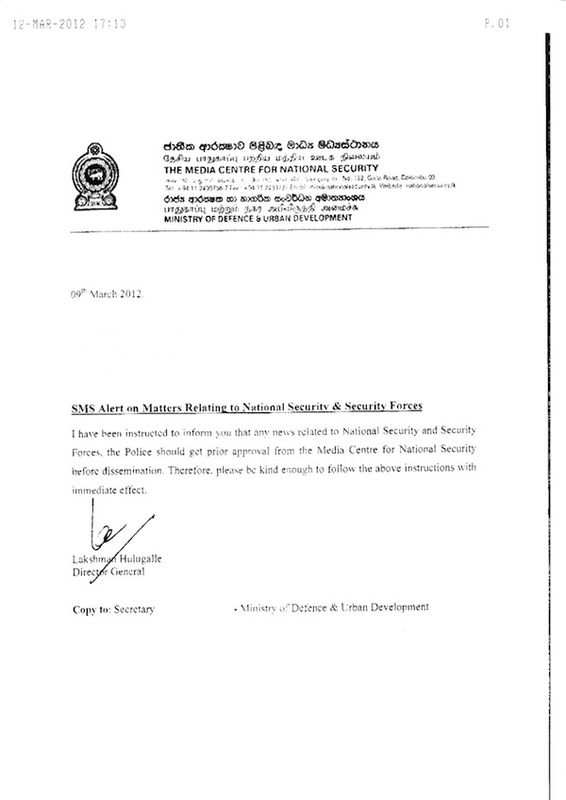 Armed men entered the Uthayan offices on 7 September 2006 and ordered staff to publish a statement urging Jaffna’s students to call off their strike, threatening “severe reprisals” if the statement wasn’t published. On 10 September 2006, two armed men who entered into the Uthayan offices were arrested by the policemen who were guarding the building. Journalist Selvarajah Rajivarnam, an Uthayan reporter for 6 months prior to his death, was shot dead in Jaffna close to a military checkpoint on 29 April 2007. A Proof reader, Vadivelu Nirmalaraj was abducted on 17 November 2007 near Jaffna as he returned home after work. A grenade was thrown into the newspaper’s office in Jaffna on 24 March 2009 causing extensive damage and injuring a security guard. On 25 June 2009, thousands of copied of the Uthayan, Thinakkural and Valampuri were burnt in the street by armed men, after the papers had refused to print a statement against the LTTE. A Staff Correspondent of the newspaper, S. Kavitharan was attacked by a group of men on 28 May 2011 as he cycled to work. On 29 July 2011, the same year, Uthayan’s chief news editor Gnanasundaram Kuganathan was brutally attacked as he walked home from the office in Jaffna. Nagesh Pratheepan and two other Uthayan distributors were attacked and newspapers torched by four men on two motorbikes on 10 January 2013 as they were distributing them in the Valvettithurai area. The paper’s office in Kilinochchi were attacked by a group of six masked Sinhala speaking men on 3 April 2013. Five employees were injured, two seriously, and equipment and vehicles damaged. 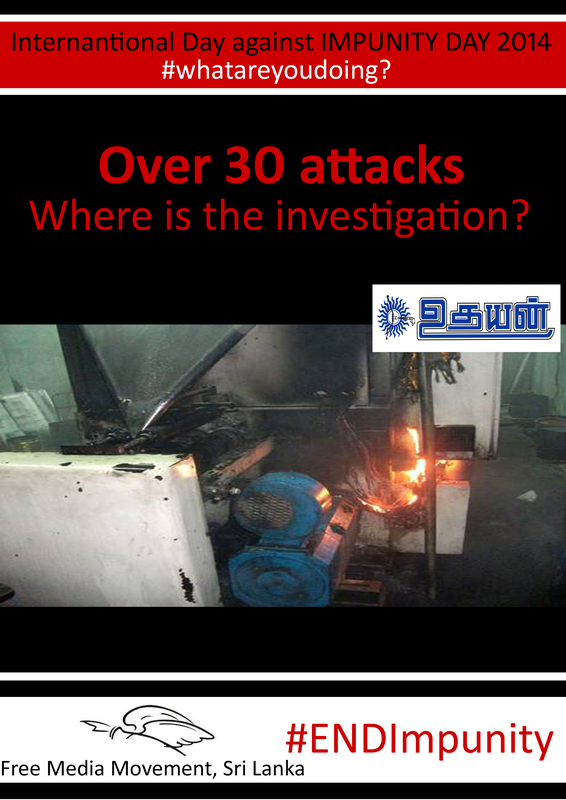 Ten days later, on 13 April 2013, three men came to the paper’s office in Jaffna and threatened security guards before damaging equipment and setting the printing press ablaze. Trincomalee correspondent for Tamil daily “Sudar Oli,” Subramaniam Sugirtharajan was assassinated on 24 January 2006 in Trincomalee. His murder trial still pending. Owner of Jaffna Tamil daily ‘Namathu Eelanadu’ Sinnathamby Sivamaharajah was assassinated inside his house which was 300 metres inside the High Security Zone of the Sri Lanka Army (SLA) in Tellippalai in Jaffna on August 20, 2006. The international Press institute has called in for impartial government investigation, no perpetrator brough to justice yet. 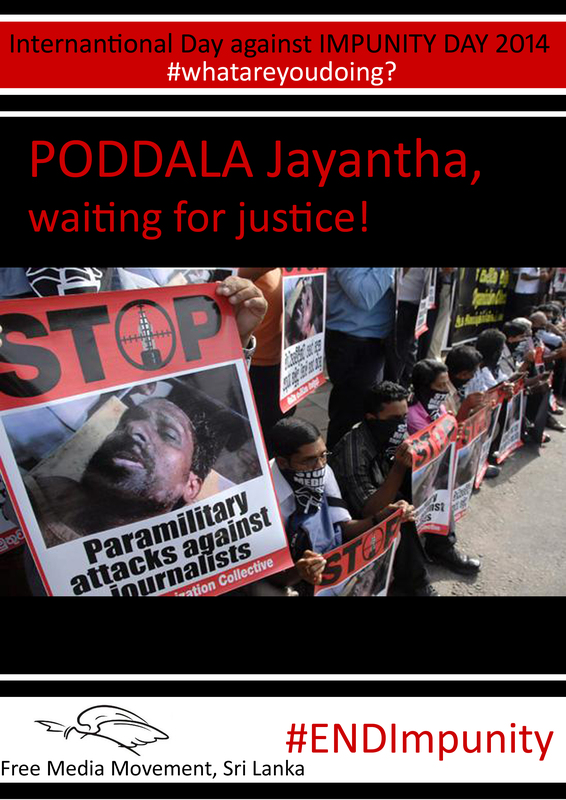 A Journalist and the Secretary of Sri Lanka Working Journalists Association (SLWJA) Poddala Jayantha was abducted and assaulted by unknown assailants on 01 June 2009. A complained was filed by his wife, no perpetrator brought to justice yet. He was forced to leave the country having received death threats due to his refusal to speak up against threats and intimidation even after the attack. 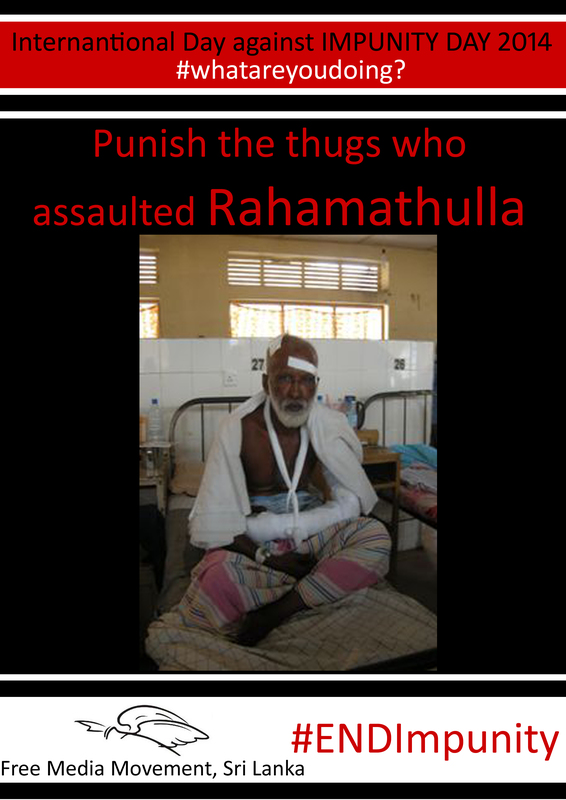 The Editor and the Owner of the provincial Tamil weekly “Vaara Uraikal”, M. I. Rahmathulla was attacked on 31st March 2009 by five strangers who broke into his office. He was beaten with a cricket bat. His case is pending at Kattankudi Magistrate’s court. He has also filed a complained with the National Human Rights Commission but no action has been taken to date. COLOMBO (Reuters) – Sri Lanka’s Defense Ministry on Monday ordered news outlets to get prior approval before sending mobile phone alerts about the military or police, a move press freedom groups decried as another step towards greater censorship. 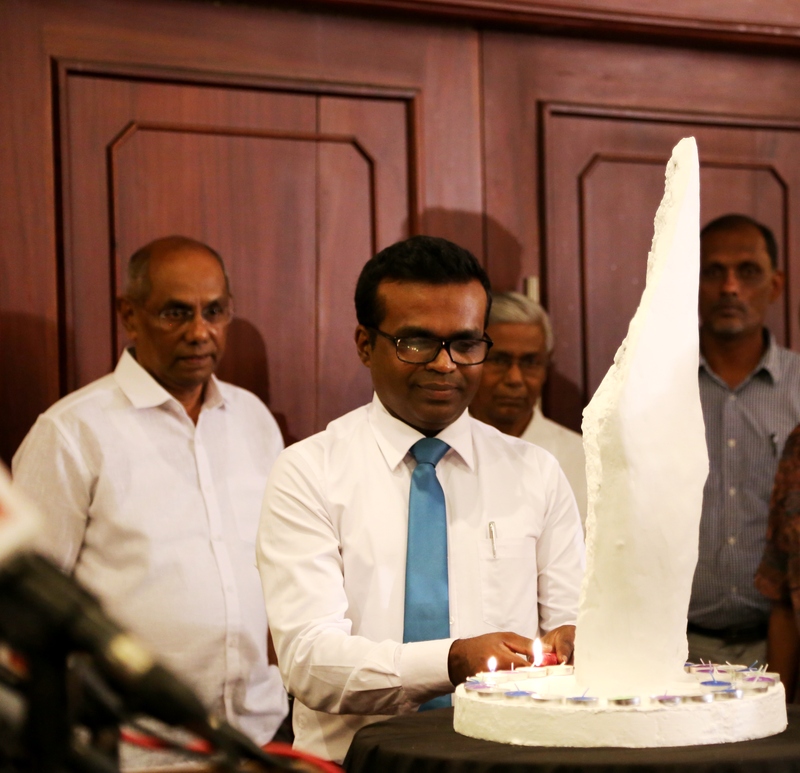 “I have been instructed to inform you that any news related to national security, security forces, and the police should get prior approval from the MCNS before dissemination,” Hulugalle said in the letter, dated last Friday. That was the same day local news outlets reported a murder-suicide that left three soldiers dead of gunshot wounds. It also came after reports of a police officer’s arrest for soliciting a large bribe, and a botched abduction attempt blamed on soldiers. The MCNS comes under the defense ministry, and handles the public affairs function for the military and police. Contacted by Reuters, Hulugalle denied there were any restrictions on what could be reported. “But we want to know what’s going to be disseminated before it is being disseminated,” he said. The new directive is the latest control imposed on news and information websites. The government is increasingly intolerant of criticism, and Sri Lanka has in recent years headed further down lists measuring international press freedom rankings. “This is the first step in going for wider censorship,” said Sunil Jayasekara, the head of Sri Lanka’s Free Media Movement. In November, the government required news websites to register with the Media Ministry, a month after it blocked some sites critical of the government. The Indian Ocean island nation’s government first blocked some websites linked to the Tamil Tiger separatists during the final phase of a 25-year civil war, arguing the ban was acceptable in a time of war, but the bans have grown since the end of the war in 2009. 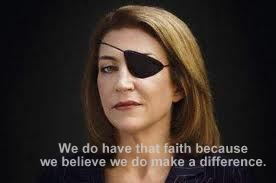 Marie Colvin gave the main address at St Bride’s church in 2010 at a service to commemorate journalists, cameramen and support staff who had lost their lives during conflicts. Marie Colvin, who was killed in Syria on Wednesday morning, gave the main address at St Bride’s church in 2010 at a service to commemorate journalists, cameramen and support staff who had lost their lives during conflicts. The reporter for ‘Mawbima’ at Katharagama Chaminda Alwis has been assaulted by the UPFA Member for Katharagama Pradeshiya Sabha Priyanthe Attanayake. Sri Lanka’s Appeal Court has ruled that former Attorney General Mr. Mohan Pieris could be called in as a witness to inquire into the disappearance of journalist, Prageeth Eknaligoda. State Counsel told court that the order given by the Homagama Magistrate Court to call former attorney general before court was illegal. Appeal Court stated that Homagama Magistrate Court has the power to issue such an order on the ground of new evidence in this case. Sandya Eknaligoda, wife of Prageeth has requested courts to order police to produce the missing journalist in courts. Former attorney general, Mr. Mohan Pieris had made a statement during a presentation at UN Committee against Torture (UNCat) that journalist Prageeth Eknaligoda has sought political asylum abroad. 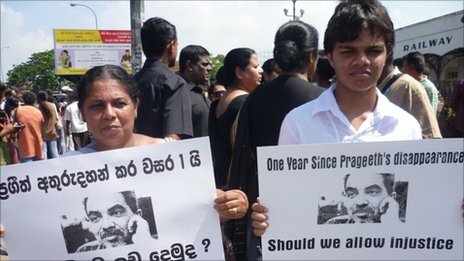 Responding to the disappearance of political columnist and cartoonist Prageeth Ekneligoda, who is missing since January 2009, Mr Peiris told UNCaT in Geneva last November, that the journalist has sought asylum abroad. 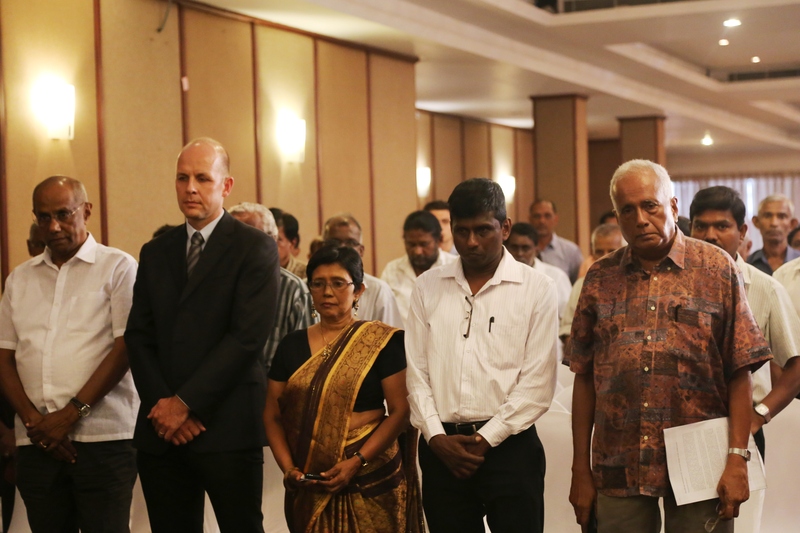 “Our current information is, that Mr. Eknaligoda has taken refuge in a foreign country,” Mr.Mohan Peiris said answering to a question from a delegate. The Appeal Court approving the decision of the Homagama Magistrate Court said that it could be challenged in future if the magistrate had violated the Evidence Ordinance. 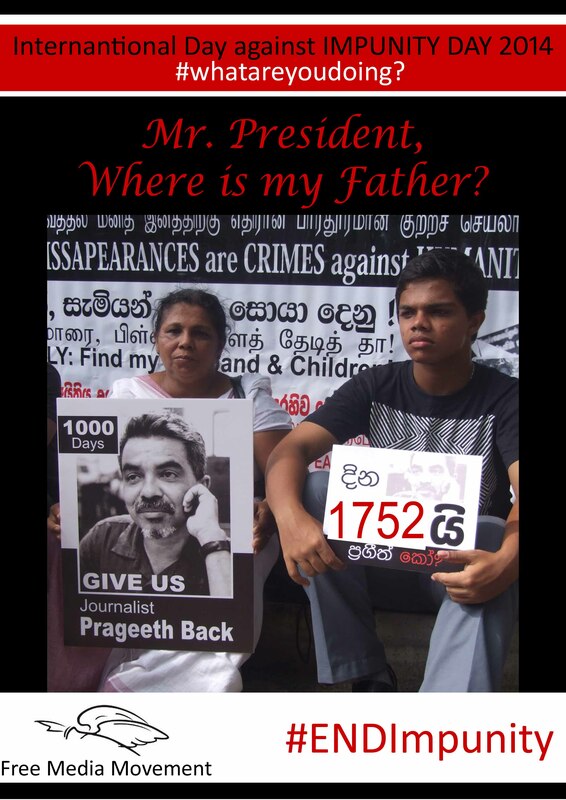 Prageeth, who had written articles and drawn cartoons critical of the government, was apparently abducted on his way home from the office and has not been seen since 24 January 2010. We, the 5 media organization in Sri Lanka express our serious concern that the police and unruly mobs who enjoy police protection are continuing to violate our peoples right to protest and journalists right to cover those protests. These rights are guaranteed by the constitution and duty of the police is to protect these rights. 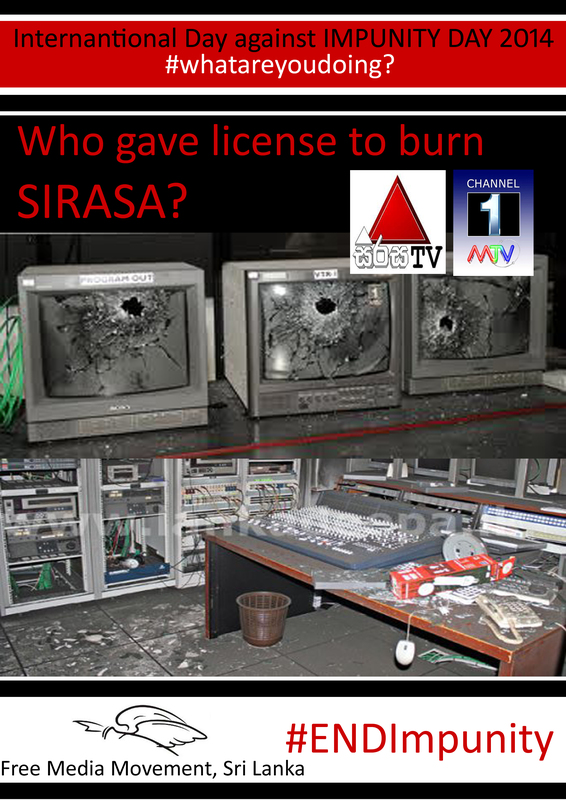 On 11th February 2010 in Dehiatthakandiya police grabbed the TV cameras of journalist Sugath Wijerathna of Sirasa TV and K.H.M. Samathapala of Swarnavahini TV and erased the footage they had filmed on police attack on peaceful protesters. 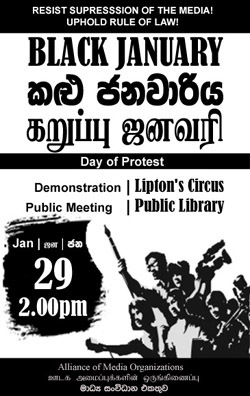 The protest was organised as a part of the island wide campaign for the release of General (Rtd) Sarath Fonseka. On 14th February In Tangalla thugs protected by the police grabbed the cassettes of Ajith Pushpakumara of Siyatha group and Rahula Hemantha of SirasaTV while they were coving a another protest held for the same purpose. It has been reported to our organiations that journalists covering such protest campaigns had to face obstructions by police in number of other occasions too. We, 5 media organizations condemn these acts of violence against journalists and media, emphasising that the police behavior in these incidents are clear violation of our people’s right to information. 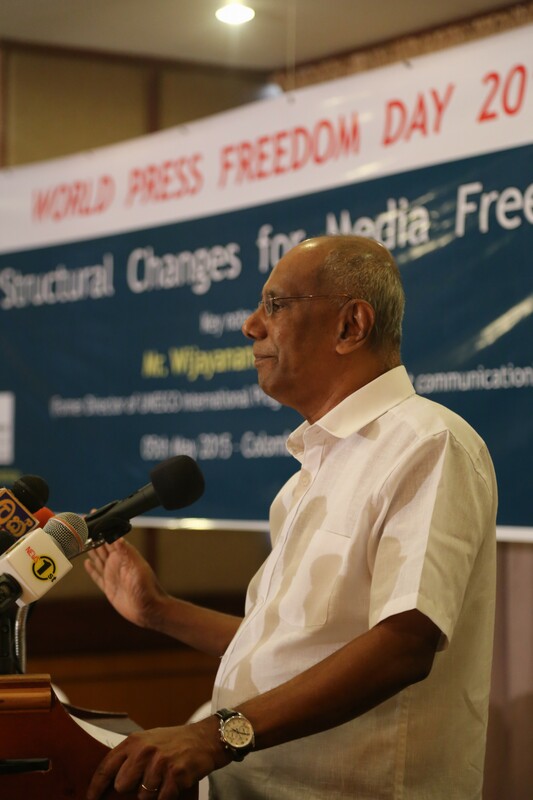 The continuous trend of attacking journalists covering demonstrations has increased the suppressive situation media and journalists in Sri Lanka has been facing during the last few years. We urge all democratic forces to voice their concerns against this dangerous trend of police violating peoples right to information which in turn threaten the democratic values in our society. We urge the Inspector General of Police to take immediate steps to stop this illegal behaviour of police.